Voile has gotten serious about their climbing skin performance. By teaming up with industry-leading Pomoca, Voile is taking advantage of the best technology available. The Hyper Glide skins are a 70% mohair 30% nylon mix that provide the best balance between claw-like uphill grip, and energy-saving silky glide. Ever Dry hydrophobic treatment prevents the fibers from absorbing water, preventing weight-gain and eliminating the need for daily anti-ice treatments. The Safer Skin Light membrane prevents moisture-transfer through the skin which douches the glue. Long lasting glue performance means worry-free skinning, lap after lap. In addition to the moisture barrier, the Safer Skin Light membrane allows the skin to be made thinner and more packable, reducing bulk on your feet and in your jacket or pack. 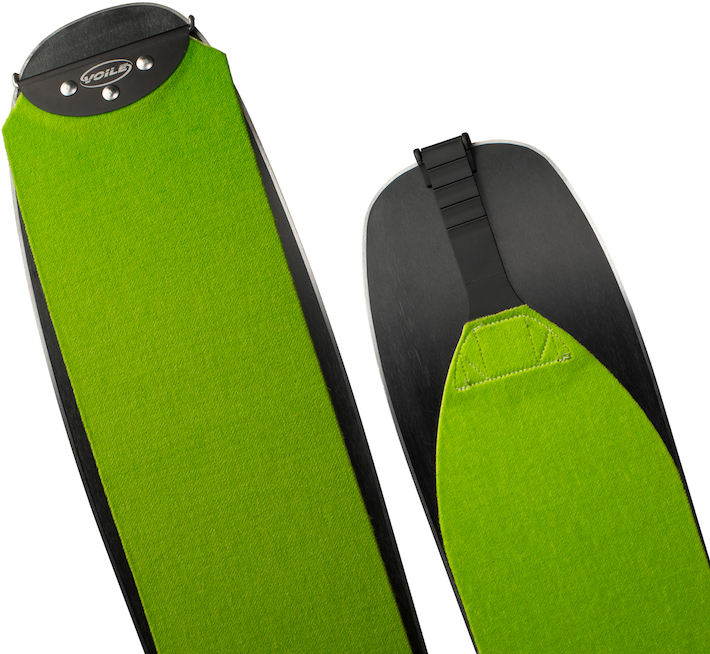 Get serious about your skins like Voile and get a set of Hyper Glides to feel the difference. Hardened and anodized aluminum tip attachment won’t fail you in ultra-cold temperatures where plastic tips may crack. Stainless steel tip loops will be forgiving if your technique gets sloppy late in the day. Ever Dry hydrophobic treatment repels moisture saturation to prevent glopping and water-weight gain. Safer Skin Light waterproof membrane reduces weight while keeping the glue effective. 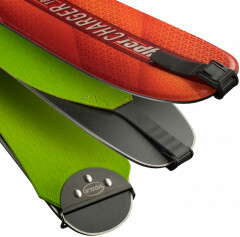 Elastic tail-strap with universal clip has notches to help prevent clip-slide. Do you know how these compare to Pomoca's other skins? Are they the same as one of the other Pomoca options, or are they different? Hi Kate, same glue, same tail clips, material is similar to the Free Pro and Climb 2.0 formulas (nice and packable). Voile tip buckles are rock solid so these compare favorably! I have Viole HyperCharger skis 178 cm - which size skins do you recommend? And do you still expect them mid-December, I've heard these aren't shipping until next year. Hey Michael! Last we heard is that they are currently in the final stages of production, so I am still expecting mid-December at this point. I could be wrong in that regard and they'll ship when they do, but I think that mid-December is probably still an optimistically viable timeline for them to arrive. Sizing skins for the 178cm HyperCharger: you could go 120mm x 165-180cm if you want a fast skin (that'll be full coverage at the tail and partial coverage near the rocker). If you want full coverage, even at the tip where it's beyond the contact point, the 140mm x 165-180cm is probably the better choice. Keep in mind, skins that offer full coverage beyond the contact points of a ski with a lot of tip and tail rocker will not improve climbing traction at all and will in fact slow you down while breaking trail. If you want to get really nerdy, measure the width of the base material at the contact point nearest the tail and you will have your answer for the skin width.